Earlier this year, Reveal Records revealed their latest singing, Dan Whitehouse. To celebrate the signing of the talented, Birmingham based singer-songwriter, Reveal Records released Introducing on 22nd April 2016. Introducing featured eight tracks, which were a mixture of Dan Whitehouse compositions and cover versions. This was a tantalising taste of what Dan Whitehouse was capable of. However, one song stood head and shoulders above the rest, That’s Where I Belong. It’s a hook-laden, joyous anthem written by Dan Whitehouse. That’s Where I Belong also lends its name to Dan Whitehouse’s forthcoming album, That’s Where I Belong, which will be released by Reveal Records on 2nd September 2016. That’s Where I Belong is the much anticipated fifth album from Dan Whitehouse, whose career began back in 1998. That was when nineteen year old Dan Whitehouse joined Naomi, a local band. Dan was a member of the band for two years, but left in 2000 to join the rock band Sonara. Dan Whitehouse became Sonara’s frontman, and was a member of the band until 2007. During this period, Sonara played at the prestigious Reading Festival. However, by 2007 Dan announced he was leaving Sonara, to embark upon a solo career. For the first two years of his career, Dan Whitehouse spent time writing songs, honing sound and playing live. This was akin to a musical apprenticeship. After two years, Dan felt confident enough to releases his debut E.P. When Dan Whitehouse released The Balloon E,P. in early 2009, it featured seven tracks. This Dan explained, was only the first in a trilogy of E.P.s They would examine a variety of themes, including “life, love, loss and happiness.” The second instalment in the trilogy, followed later in 2009. The Bubble E.P. picked up where The Balloon E,P. left off, examining “life, love, loss and happiness.” One of the most beautiful tracks on The Bubble E.P. was You Can’t Give Me Anymore. Unsurprisingly, it caught the attention of few discerning critics. Suddenly, people were taking notice of the young singer-songwriter. This included veteran pedal steel player B.J. Cole, who made a guest appearance on The Bubble E.P. This was be the start of a long working relationship between the pair that continues today. Later in 2009, Dan Whitehouse released The Box EP., which was the final instalment in the trilogy. This brought the examination “life, love, loss and happiness” to an eloquent and heartfelt end. Now surely, Dan’s thoughts would turn to his debut album? Surprisingly, it wasn’t until 2012 that Dan Whitehouse returned with his eponymous debut album. It had been in Dan’s flat, and featured mainly acoustic instruments. This worked though, and allowed Dan’s vocal to take centre-stage. Five years after embarking upon a solo career, Dan Whitehouse had released his debut album. His sophomore album followed the in 2013. When work began on Reaching For A State of Mind, Dan Whitehouse found himself in a recording studio with a full band. The band featured some familiar faces. This included P.J. Wright from Fairport Convention; Ezio guitarist Booga. percussionist Chip Bailey and Helen Lancaster of The Old Dance School. This all-star band accompanied Dan in the eleven tracks that became Reaching For A State of Mind. It was released in autumn 2013. Reaching For A State of Mind was a genre sprawling album. Despite several folk musicians in Dan’s band, the album featured everything from Americana, folk, pop, rock and roots. Critics felt that Reaching For A State of Mind was a much more refined and polished album. It was launched in Dan’s adopted hometown of Birmingham, at the city’s Crescent Theatre. However, it wasn’t just Reaching For A State of Mind that was being launched, but Dan Whitehouse’s career. Over the next year, Dan Whitehouse’s star was in the ascendancy. He spent the year touring and recording. Dan released his third album Raw State in 2013. It was well received by critics, and found Dan maturing as a singer and songwriter.Then later in 2014, Dan released the Reaching Further For A State of Mind E.P. It featured unreleased songs recorded during the Further For A State of Mind sessions. However, by then, Dan was on tour. This included touring North America with German-American singer-songwriter Anja McCloskey. The pair even released the Still E.P. together. Then in August 2014, Dan played at the Moseley Folk Festival. He took to the stage after a set by The Felice Brothers, but quickly won the audience over. By the end of his set, Dan had the audience eating out of his hands. Watching from the wings was Richard Thompson, who followed Dan. The grand old man of British folk realised that he was watching one of genre’s rising stars. However, Dan was no stranger to working with some of the biggest names in music. Over the years, Dan Whitehouse has toured with some major names. This includes Peter Green, 10CC, Maria McKee, World Party and Julian Cope. 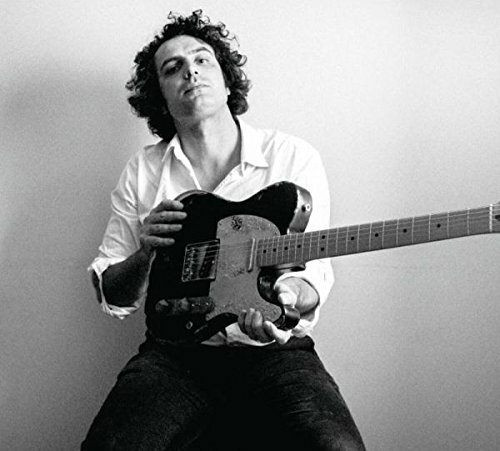 Dan has also opened for Josh Ritter, Caitlin Rose, Joseph Arthur, Willy Mason and Simone Felice since he embarked upon a solo career in 2007. Recently, Dan Whitehouse has toured with Eddi Reader, and opened for Kris Drever on his U.K. tour. By the time Dan Whitehouse headed out on tour with Kris Drever, he had released his first album for Tom Rose’s Reveal Records. Introducing is a limited edition CD which features eight tracks from Dan Whitehouse. They’re a mixture of cover versions and songs penned by Dan Whitehouse. Among the songs on Introducing penned by Dan Whitehouse, are That’s When I Belong, The Places We Have Been, Work and CCC. Apart from Work, which is a Radio Edit, the other three tracks are a taster of Dan’s forthcoming album. The other four tracks were recorded live at Kyoti Studios, in Glasgow without any overdubbing. This includes Dan’s duet with Jess Morgan on Close Up, which Boo Hewerdine cowrote. Other tracks include covers of The Cowboy Junkies’ Sun Comes Up, Its Tuesday Morning and Chris Wood’s Two Widows. These track introduce Dan Whitehouse on Introducing. Dan Whitehouse’s Reveal Records’ debut Introducing, was his fourth album. It was released on 22nd April 2016, and showcased a truly talented singer-songwriter. However, Introducing was just the equivalent of a musical amuse-bouche. The main course now is about to be served, and That’s Where I Belong is a veritable musical feast. Now signed to Reveal Records, Dan Whitehouse began working on his debut album. He has been writing songs for the best part of twenty years, and draws inspiration from various types of music, including Americana and folk music. Many of Dan Whitehouse’s songs have a cinematic quality, as he paints pictures with his lyrics. These stories take shape in the space of three or four minutes, and leave a lasting memory. Other times, Dan Whitehouse’s song are observational. Dan Whitehouse is a people watcher, who often, tells other people’s stories. On Close Up, Dan tells the story of refugees, displaced from their homeland. CCC and Little Left Unsaid deal with subjects like anxiety and mental health. Other times, Dan Whitehouse’s songs are reflective and poignant. He sings about subjects like family and love, and loss and compassion. It seems that singer, songwriter and storyteller Dan Whitehouse had drawn inspiration from a variety of sources for the nine songs he penned for That’s Where I Belong. These songs were recorded in Glasgow and London. Recording of That’s Where I Belong took place at Reservoir Studios in London and at Kyoti Studios in Glasgow. Producing the That’s Where I Belong were Danny Wilson and Chris Clarke. Joining Dan Whitehouse when recording began, were veteran pedal and lap steel player B.J.Cole and folk singer Jess Morgan, who duets on Close Up. Once That’s Where I Belong was complete, there was no rest for Dan Whitehouse. Instead, Dan Whitehouse headed out on tour with Kris Drever, and opened for him on his UK tour. This was perfect publicity for his forthcoming album That’s Where I Belong. Nothings Gonna Change opens That’s Where I Belong. Just drums and a chiming, crystalline guitar join washes of Hammond organ. They provide the backdrop for Dan on this love song. He delivers a hopeful, joyous vocal. It’s accompanied by gospel inspired harmonies and braying horns. At heart of songs success are the Hammond organ, harmonies and horns. So catchy is the song, that the backing vocalists can’t resist adding handclaps. No wonder; given the song’s joyous, hook-laden, anthemic sound. On Close Up, Dan Whitehouse is joined by Jess Morgan, and the pair duet. From the opening bars, the arrangement is understated. Just a subtle, chiming guitar plays, while Dan delivers tenderly and sometimes ruefully, delivers the cinematic lyrics. Memories come flooding back to him. First about: “wait for four years till they got the call, I guess my blindness set us free.” Meanwhile, the rhythm section are accompanied by a weeping pedal steel. This is the perfect accompaniment to Dan’s wistful, emotive vocal. Later, as Jess accompanies Dan, her vocal proves the perfect accompaniment. Especially as he sings: “tonight we’ll have our first meal, you’ll sit beside me Close Up, Close Up it’s the only way I can see.” It’s a beautiful, moving ballad from Dan Whitehouse. That’s Where I Belong is very different track. It’s a much more uptempo, hook-laden song, and features a full band. This includes a Hammond organ, rhythm section and guitars. They accompany Dan who sometimes sound like Michael Stipe. He combines power and emotion, as he delivers a heart-wrenching vocal. Behind him, washes of swirling Hammond organ, and soaring, cooing backing vocals play starring roles. They join the rhythm section and guitar in driving this irresistibly catchy relationship song along. It has single written all over, given its anthemic sound. On Work, the rhythm section join a with a searing guitar and washes of Hammond organ, before Dan delivers another melodic and catchy track. He’s accompanied by backing vocals, while the rhythm section underpin the arrangement. A blistering guitar cuts through the arrangement as Dan promises: “I’ll do anything for you, I’ll Work for you, do anything you ask me to.” This is the signal for the backing vocalists to step forward, and add the finishing to a track that hopefully, is coming to a radio near you, very soon. Just a lone piano opens The Little Left Unsaid. It gives way to Dan’s vocal, before the two unite. Soon, Dan is delivering a heartfelt, soul-baring vocal. Memories come flooding back, before a determined Dan assures: ‘we’ll make it through.” He sounds as if he’s lived and survived the lyrics to this poignant and heart wrenching ballad. The arrangement to The Places We Have Been is sparse, with just a subtle washes of weeping guitar accompanying Dan’s soul-baring vocal. Gradually, though, the arrangement builds. The rhythm section, weeping pedal steel and piano joining Dan. He’s joined by backing vocalists as he delivers a needy vocal.It’s akin to an outpouring of emotion. Especially as he assures and promises: “I’ll never leave.” Adding the finishing touches as Dan reminisces are a sultry saxophone, harmonies and pedal steel. They’re the perfect accompaniment to Dan Whitehouse, as he lays bare his soul for all to see. Cooing harmonies opens CCC while the rhythm section, scorching guitar and swirling washes of Hammond organ unite. They provide a dramatic backdrop for Dan’s vocal, as the song heads into anthem territory. Accompanied by the cooing harmonies, a pounding rhythm section and a jangling guitar, Dan showcases his talent as a singer, songwriter and storyteller. The lyrics come to life, before as the drama builds. Then at the bridge, the band slow things down. This adds to the drama, before pounding drums and Dan’s vocal exits stage left. It’s replaced by cooing harmonies, washes of Hammond organ and searing guitars. They combine with the rhythm section, this allows Dan’s band to showcase their considerable talents. The Left Handed Way closes That’s Where I Belong. The arrangement is understated, with just a crystalline guitar accompanying Dan’s vocal. It’s heartfelt and impassioned, as his guitar chimes. Memories come flooding back. So do “regrets.” Later, hope returns: “I feel we could have it all, if we could keep it together, I feel that The Left Handed Way up to God is much better for me.” Then when Dan’s vocal drops out, this leaves just the electric guitar. As it’s played slowly, its crystalline, chiming sound adds a wistful sound that allows the listener to ruminate, on a song that shows another side to Dan Whiteside. Although That’s Where I Belong just features just nine songs from Dan Whitehouse, lasting thirty-four minutes, these songs showcase a truly talented singer, songwriter and storyteller. Dan Whitehouse breathes meaning and emotion into the lyrics. These lyrics tell a series of stories on the nine carefully crafted songs. Many of these songs have a cinematic quality, as Dan Whitehouse tells a story. Some of these stories aren’t Dan’s own. Instead, he provides a voice for those who have none. This includes on Close Up, where Dan tells the story of refugees, displaced from their homeland. Then on CCC and Little Left Unsaid, Dan deals with subjects like anxiety and mental health. Other times, Dan Whitehouse’s songs are reflective and poignant. He sings about subjects like family and love, and loss and compassion. Dan it seems, has drawn inspiration from a variety of sources for That’s Where I Belong. It’s a similar case with music that has influenced Dan. Elements of Americana, country, folk, pop, rock and soul can be heard on That’s Where I Belong. So can the influences of artists like Bob Dylan and Ry Cooder. Both artists have influenced That’s Where I Belong, which is the perfect showcase for Dan Whitehouse’s versatility. That’s Where I Belong features ballads and hook-laden anthems. The ballads include Close Up, The Places We Have Been and You Brought The Sunshine. Hook-laden anthems include Work, That’s Where I Belong, Nothing’s Gonna Change It. They’ve the words single written all over them, and could be coming to a radio near you very soon. Let’s hope so. Dan Whitehouse has spent a lifetime making music. However, since he embarked upon his solo career in 2007, Dan has been working towards making a commercial breakthrough. 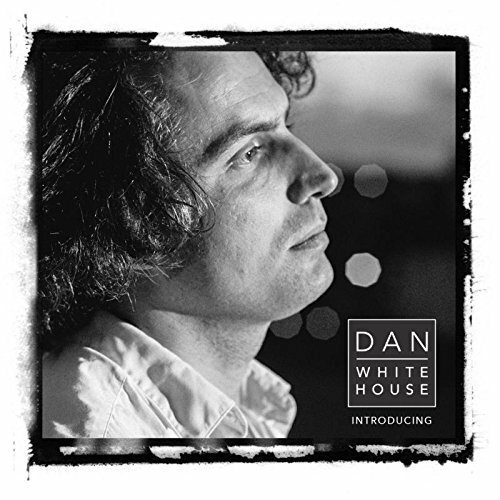 Hopefully, his fifth album That’s Where I Belong, which will be released on Reveal Records on 2nd September 2016, will introduce Dan Whitehouse to a much wider audience. That’s Where I Belong, with its mixture of beautiful ballads and hook-laden anthems, is the perfect introduction to the newest troubadour in town, Dan Whitehouse. Tagged: Dan Whitehouse, Introducing, Naomi, P, Reaching For A State of Mind, Reveal Records, Sonara, That’s Where I Belong, The Balloon E.P., The Box E.P., The Bubble E.P. ← ERIC BURDON AND THE ANIMALS-EVERY ONE OF US.